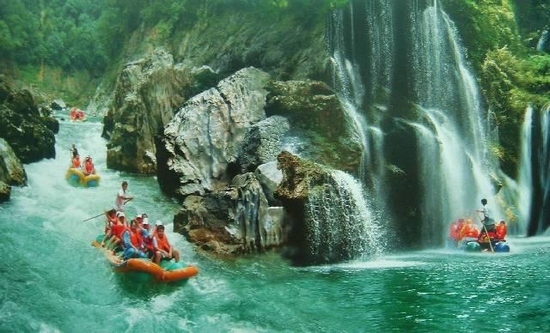 Xiangxi Tuojiang River is the mother river of the Ancient Phoenix City. 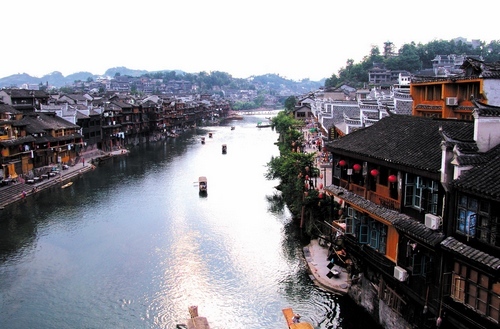 Flowing around the ancient city wall of Fenghuang town, Tuojiang River reflects the Tu minority buildings along it. These hundreds of years’buildings add more colors to Tuojiang River. 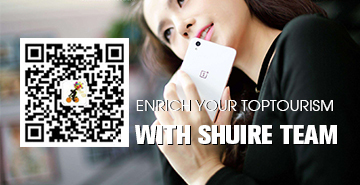 As you go downstream through the Rainbow Bridge, A picture of water town will spread in front of you: The Wanshou Palace, The Wanming Tower, The Duocui Building, And so on and so forth. Ancient City Wall is located along the south bank, built with the red bricks in an elegant and great atmosphere. Tu ethnic buildings along the Tuojiang River form a unlimited picture which is describe the traditional southern water town in China. 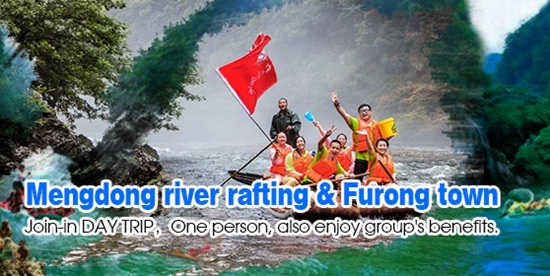 Tuojiang River was muddy brown since it was raining at that time, but on a perfectly clear day it was said to be emerald green, reflecting the mountain scape in which the town is at the foot. 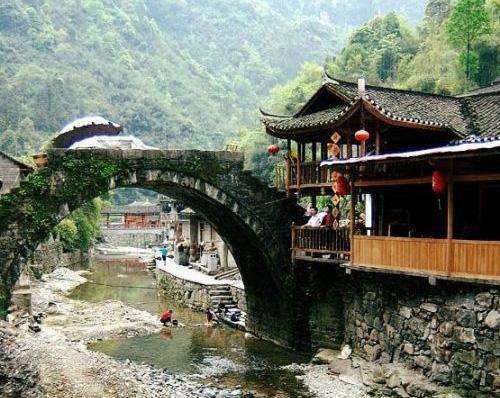 Much of the structures like the walls, temples, bridges, wells, stone steps and stilt houses remain their old structures and styles ranging back to Ming and Qing Dynasties. 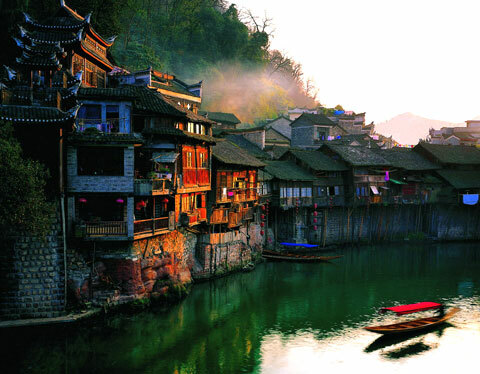 A picturesque country full of diverse landscapes, cuisine and culture, China boasts captivating cities that showcase its colorful contrasts, from gleaming skyscrapers to cobbled alleyways. 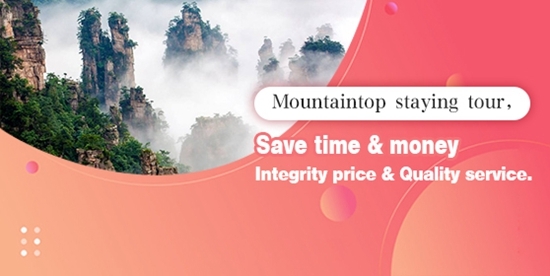 It’s a country where you can experience ancient traditions and visit world-class attractions, and spend your time exploring iconic landmarks, meeting pandas and meandering through the quiet countryside. From the Great Wall in Beijing to the UNESCO-listed streets of Lijiang, here are some of the best cities to visit in China. 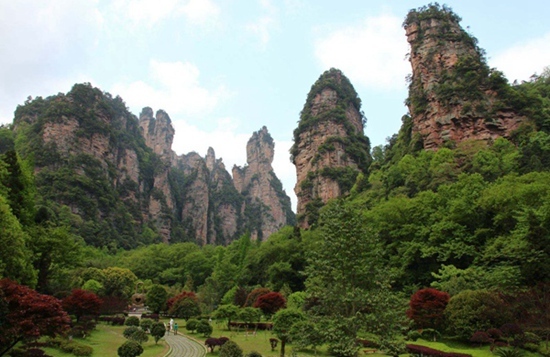 From March 1st, Zhangjiajie National Forest Park-Wulingyuan core scenic spot will be executed at peak season's ticket price, 225 yuan per person(including eco-bus) . 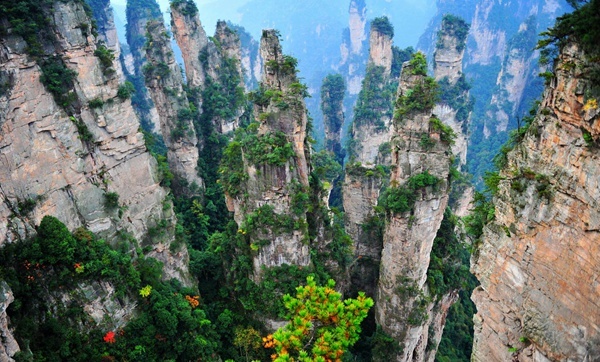 After the ticket is purchased, the visitor can enter Zhangjiajie National Forest Park-Wulingyuan core scenic spot for four consecutive days and take the scenic green bus. 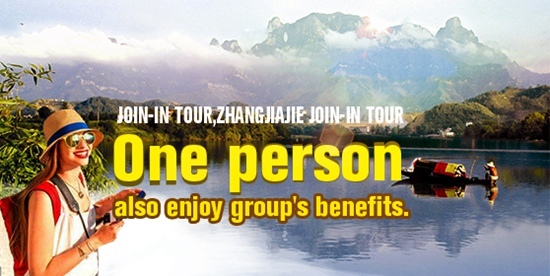 On February 27, 2019, learned from Zhangjiajie Grand Canyon Scenic Spot,Zhangjiajie Grand Canyon restore B-line tour, From March 1st. 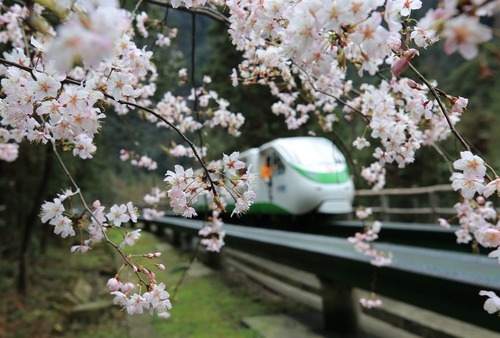 In 2019, "Tianmen Fox Fairy" will celebrate its 10-year-old birthday. The whole performance will also be a grand upgrade. 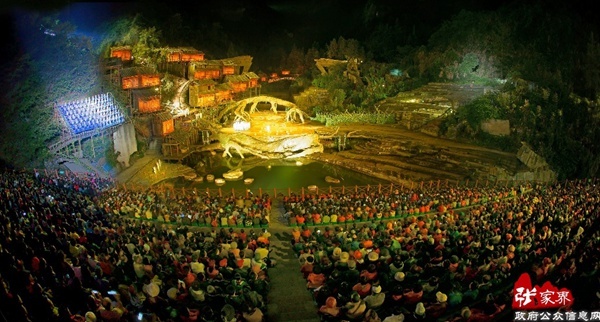 The upgraded "Tianmen Fox Fairy" will refresh the visitors with more shocking stage science fiction technology.Currently, all actors are actively preparing for upgrade re-performance.Looking forward to the 2019 "Tianmen Fox Fairy" ten years of amazing transformation. 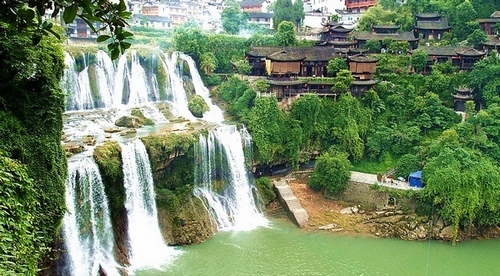 Hunan is one of the main producing areas of dark tea in China. Dark tea has been famous since it was sold along with Ancient Tea Horse Road. 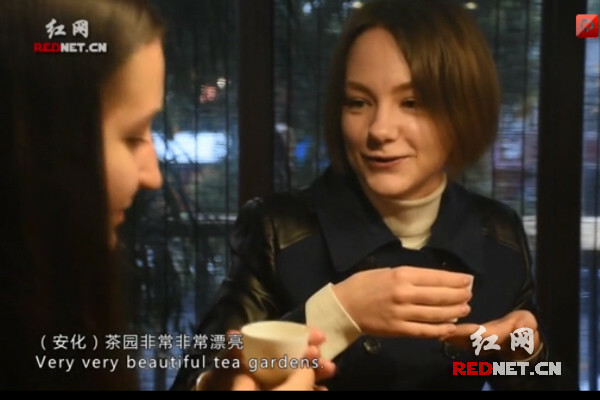 After years of opening up, Anhua black tea goes overseas, and more foreigners in Hunan like black tea. The Chunlong Festival, or Spring Dragon Festival falls on the second day of the second month on Chinese Lunar calendar, or Er Yue Er. 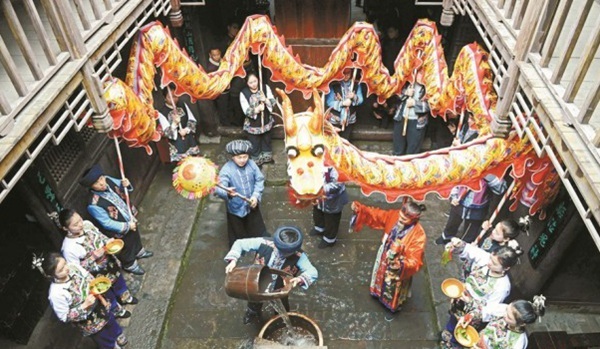 It is regarded by the Chinese people as the day when the "Dragon raises its head", which means the spring awakens after winter hibernation, and the rain will increase. 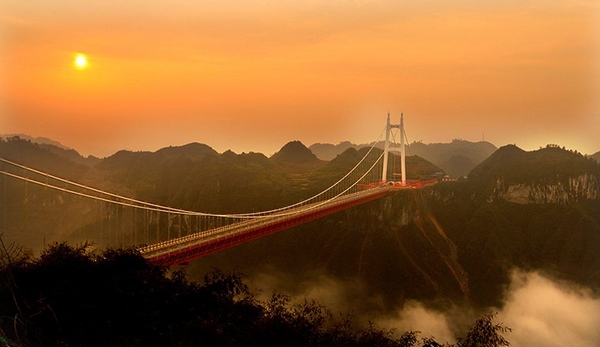 1.It is about 17km to Aizhai Suspension Bridge from Jishou downtown.2.You may take a tourist shuttle heading to Aizhai Suspension Bridge at Jishou Railway Station, which will leave every half an hour. The earliest bus departs at 6:30 am at both terminals. 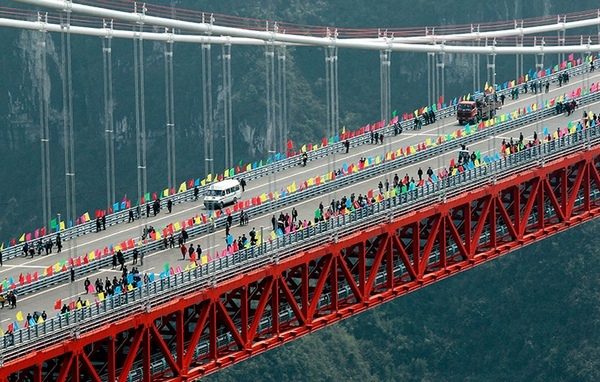 The last bus leaves at 6:00 pm.3.You can take a taxi in Jishou downtown directly to Aizhai Suspension Bridge. 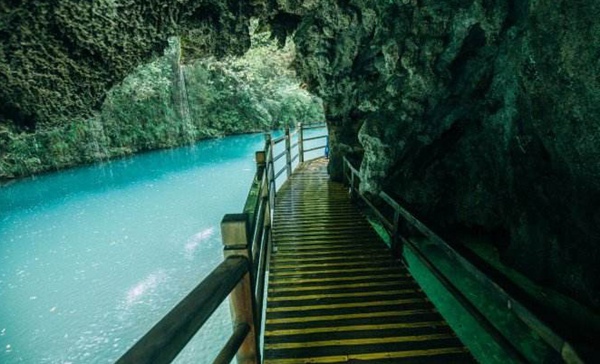 1.It is about 25km to Dehang scenic spot from Jishou downtown.2.You may take a tourist shuttle heading to Dehang at Jishou Railway Station, which will leave every half an hour. The earliest bus departs at 6:30 am at both terminals. 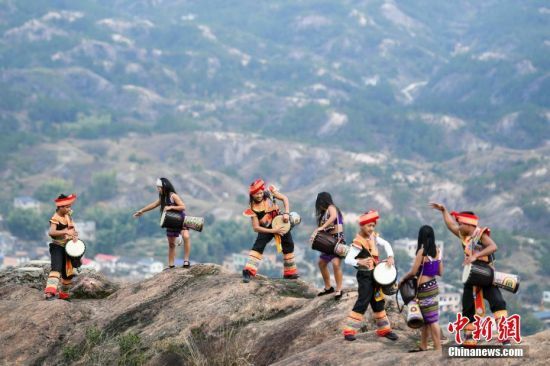 The last bus leaves at 6:00 pm.3.You can take a taxi in Jishou downtown directly to Dehang scenic spot.